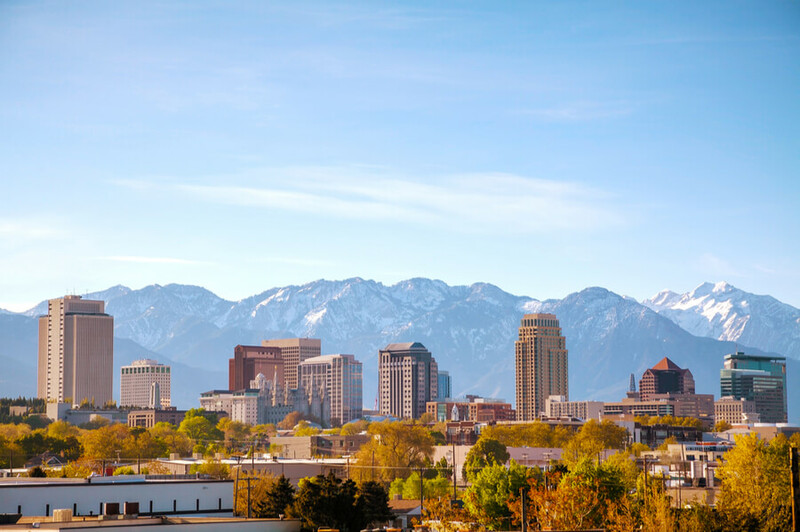 The Haven, located in Salt Lake City, Utah, is a mental health and substance abuse facility that offers transitional living and residential treatment to clients. The facility is dedicated and focused on providing affordable and effective treatment to individuals battling with addiction. Treatment modality utilized for residential treatment is 12-step. While in treatment, clients complete the first three steps as it is incorporated into their treatment schedule. After residential treatment, clients complete the remaining steps while in transitional or sober living homes. The average duration of a lengthened stay in treatment is between seventy to hundred days. Group therapy methods are hugely utilized, as most treatments happen in group therapy. Group therapy meeting ratio is usually one therapist to 10 clients, as a maximum of ten clients per group is allowed. Client’s treatment schedule comprises of several classes and meetings during the day. Journaling and personal reflection time are also incorporated into treatment. The average duration of time spent in group sessions is about an hour. Clients are required to attend daily 12-step meetings, which hold once a day except on Tuesdays, which holds twice a day. Clients move from level to level in treatment and progress is determined that way. As clients progress in treatment, the “strictness” of the program is reduced and clients are given privileges. Random urinalysis tests also take place as well to make sure that clients are following the program appropriately. The staff team at the facility comprises of licensed alcohol and drug addiction counselors and licensed clinical social workers. The facility does not offer an on-site detox program and as such, clients must have completed medical detox at an outside facility before being enrolled. The treatment facility offers a two-story building with greenery and trees around it. A maximum of 20 men and women are admitted at a time and two clients share a room. Women are housed on the first floor and men are housed on the ground floor. The facility offers a shared bathroom on each floor, which comes fully equipped with a shower. Common living areas are available for clients to reflect and relax. Use of personal devices, computer, cell phones, or otherwise is prohibited but clients can make use of the pay phone available on-site. Smoking is allowed on-site but only at designated areas of the facility. All clients are entitled to three meals a day and these meals are served on-site. Healthy snacks are available during the day for clients to snack on if they want something to eat. The facility offers residential treatment to clients suffering from addiction disorder. Treatment is only offered to clients 18 years and older. The average length of stay is 45 days, but a lengthened stay can go up to 90 days. Clients usually leave the program after 75 days. The Haven costs approximately $3,800 for a 30-day treatment at the facility. The amount stated is subject to change as clients advance in treatment and level of care progresses or reduces. Insurance plans accepted include Aetna, Cigna, Blue Cross, Multiplan, and many more. For more clarity and information, clients are encouraged to contact The Haven. The facility offers a workout area for clients to engage in physical fitness, and the area is located at the back of the house. Equipment features weights and a treadmill. Clients can also take walks around the facility as exercise instead of using the workout area. The facility also offers recreational therapy incorporating fun activities into treatment such as softball, trips to the movies, paintball games, basketball games, and many more. Alumni of the facility are very active and help offer peer support to current residents of the facility. The facility offers a family program as well for families of residents. This program holds for 3 hours every Wednesday evening (6 pm to 9 pm). The facility currently operates three transitional living facilities, for clients who have completed primary treatment. Two of those facilities are gender-specific, while the last one is co-ed. Residents of the transitional living programs are required to attend 12-step meetings and must complete weekly check-in as a group. In totality, the facility is a good option for clients who want to begin the long-term journey to sobriety. Heather holds a Bachelor’s degree from the University of Utah in Social Work and a Master’s degree from the same university in Forensic Social Work. Prior to holding the position of CEO, she served in multiple positions at different facilities such as Case Manager, Therapist, Clinical Supervisor, and many more. Jen holds a Bachelor’s and Master’s degree from the University of Utah in Social Work and began as an intern at the facility in 2010. Since then, she has served in multiple capacities at the facility such as Substance abuse disorder counselor, case manager, therapist, and many more. Joshua holds a Bachelor’s degree in Computer Animation and Graphic Design from Brooks College and began working at the facility in 2013. He has served in multiple positions at the facility including a kitchen manager, IT manager, and many more.